Ms. Goodwin brought her class to check out books. Her class has been visiting the library every two weeks, and students are always excited to come to the library to explore the collection. Ms. Jaffe brought her AP Spanish class to select library books in Spanish. Reading is an essential part of language acquisition, and Ms. Jaffe's students have access to quality classic and YA literature at MACHS Library. Mr. Gonzalez and Ms. Martinez brought their classes for library orientation and book checkout. 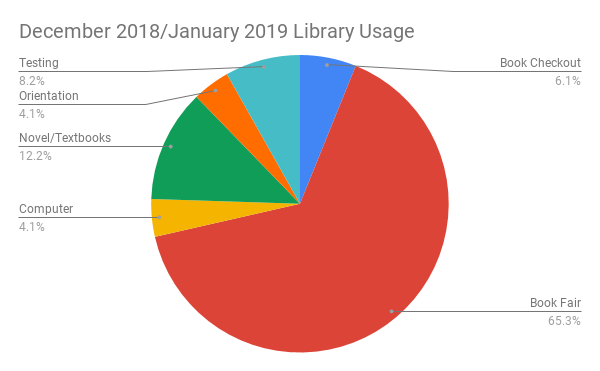 Students learned about MACHS Library and its collection, how to use the library catalog to find books, and how to find books on the shelf according to DDC. The main objective of the orientation is to get students to become independent agents when looking for information and build their confidence in making choices. Ms. Hussein brought her class to the library to type a letter asking the community to support our school. Library Practice students used Easybib to create an annotated works cited. Easybib is a tool that helps users with research and citation. Its comprehensive database can be used to create MLA (free) and APA (subscription) citations and connect users to research content. When used with the supervision of a teacher or librarian, Easybib can help students create lists of sources easily and quickly. The Winter BOGO Book Fair in December was a success! Scholastic had warned us that if we did not make at least $700, we would not be able to continue bringing the book fair to our campus. Thanks to all the amazing support from our faculty and staff, not only did we make our goal, we actually beat it by almost $300! MACHS Library hosted its first poet visit in January. 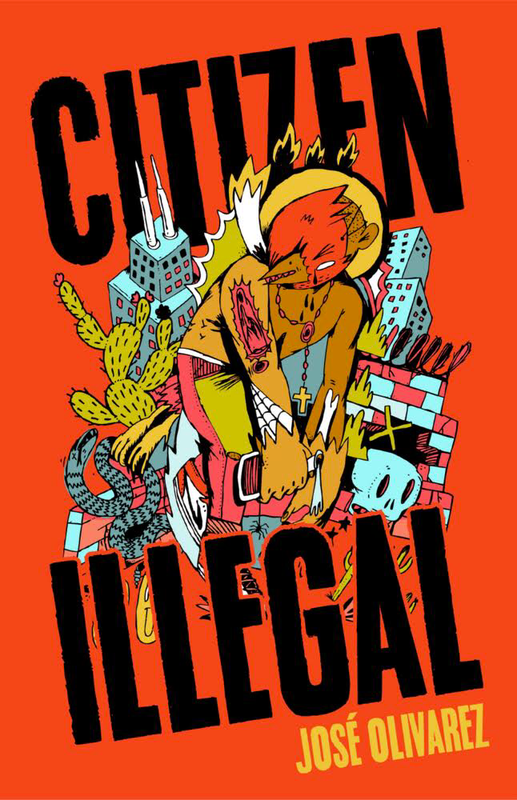 Poet José Olivarez was invited to our campus by Synergy Quantum Academy to read from his award-winning book of poems Citizen Illegal. 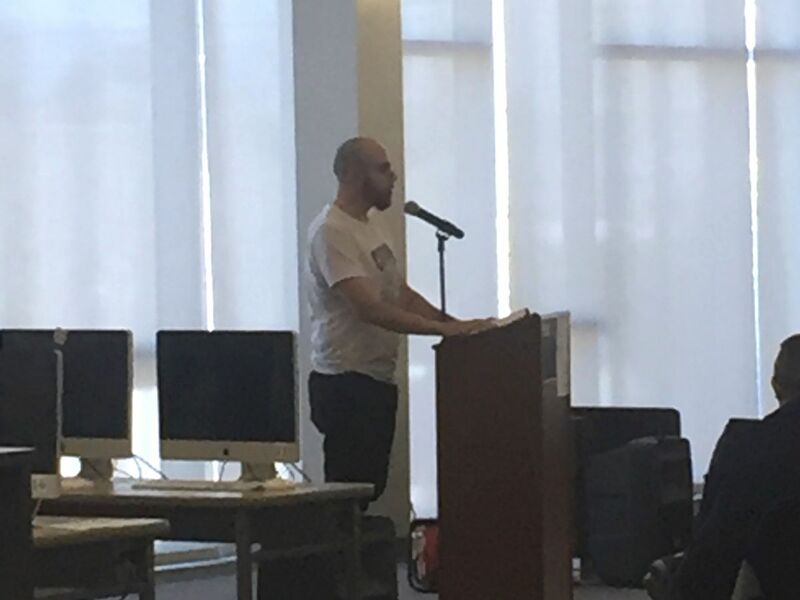 Mr. Rodgers and the R.O.Y.A.L.T.Y Club organized the whole event, from setting up the library to leading the Q&A. 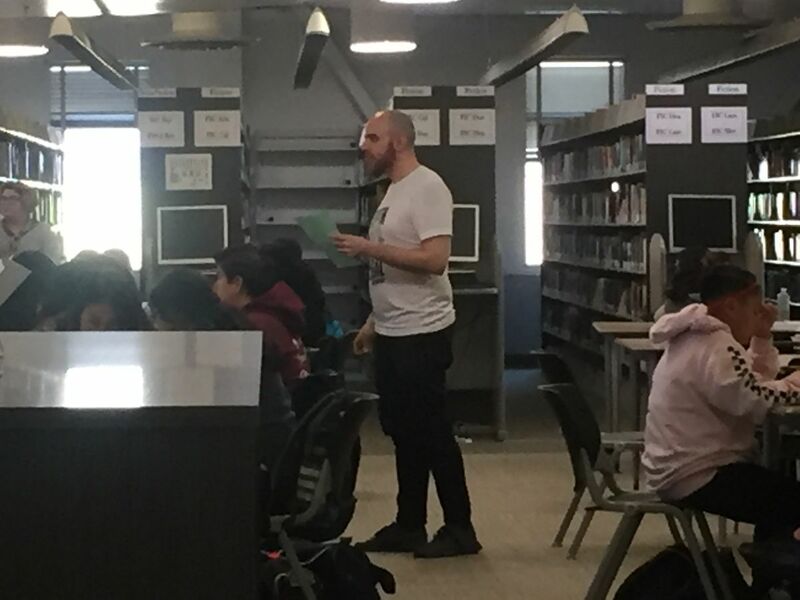 Olivarez held a writer's workshop to teach 9th- and 10th-grade students how to write their own poems. Library Practice students have finished Unit 2: The Library Catalog. For their final project, students selected a topic of their interest and created an annotated works cited page using Easybib. These lists will be made available from the library website as research resources. We came back from Winter Break to a lovely surprise: clean carpet! The carpet was shampooed, and it looks amazing! Want to bring your classes to MACHS Library? Copyright © 2019, Paula Fonseca, All rights reserved. Want more information about MACHS Library?